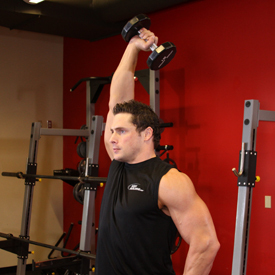 Perform the movement by extending the elbow, pulling your lower arm away from your upper arm. Pause at the completion of the movement, and then slowly return the weight to the starting position. Duration of Workout: Approximately 16 minutes. 1) In and Outs: Sit down on the mat with your legs straight out in front of you. Lift them off the ground. 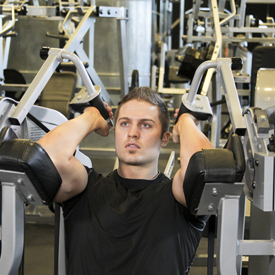 The exercise is to pull them into your chest, and then to straighten them back out. One rep counts as the combination of the pulling in and the straightening out; it can also be done with your hands supporting or in the air. Legs straight, knees in. 2) Bicycles: While in the same position start to move your legs in circles, like you are riding a bike. Do this for 25 seconds, then stop, and do the reverse. Can also be done with hands at the side or in the air. Like you’re riding a bike in mid-air. 3) Crunchy Frog: This is exactly the same as In and Outs with one major difference. Put your arms straight out to your sides (in the air), and every time you pull in, you also pull your arms around your knees. In and outs with an arm reach around. 4) Cross Leg/ Wide Leg Sit-Ups: Two ways to do this one. The easier way is to sit down with your legs spread out wide. 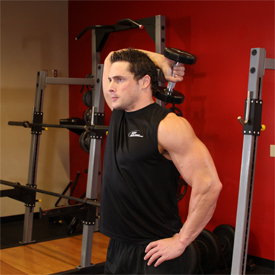 Next you put your right arm behind your head, and then lift up with your left arm pointing straight in the air. Once you are sitting straight up you touch your left arm to the opposite leg – note that it’s important to go straight up first and then over to touch the leg. That’s one rep; the second rep is the same thing but opposite arm. This can also be done with your legs crossed. Reach up and over. 5) Fifer Scissors: Lie down with your legs straight. Lift both off the ground. Next lift your right leg as high as you can, keeping it straight. The exercise is switching the left and right leg positions; go back and forth with the right leg straight in the air, to the left leg straight in the air. Always keep both legs off the ground. Scissors in the air with both legs always off the ground. 6) Hip Rock And Raise: Legs bent and feet together; have the knees pointing out from each other. During the exercise, always have the same distance between the knees. Rock backwards and then raise the hips to move upwards. This exercise is all about moving the hips up and down, while using the core to keep the position of your legs intact. Hips up, Hips Down. 7) Pulse Ups: Same as number six, the difference being both legs are straight up in the air. Leave them in that position and just move the hips up and down, up and down. 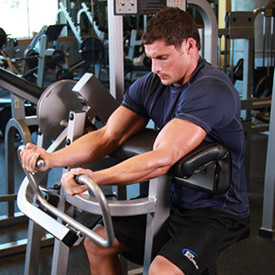 Each up and down counts as one rep. Straight legs, and moving hips. 8) V-Up/Roll Up: Lie down with the legs straight. Do a sit-up and touch your toes. As you pull away from your toes roll up your legs; in other words as you sit back down raise your legs to the air. When you are about halfway sitting down (your arms always remain in the air) touch your toes again. Leave your hands in the air and bring your legs back down. Repeat. Each time you touch your toes counts as one rep. Sit up, and then sit up with legs in the air. 9) Oblique V-Ups: On your side, with your legs at a forty-five degree angle. Arm at your side, and other arm behind your head. 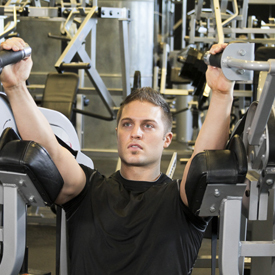 Bring legs towards chest, by getting all your weight on to your hips. 25 each side. Crunches on the side. 10) Leg Climbs: One leg is straight up, the other one either half bent or straight in front. Many ways to do this, depends on how your feeling. Can either reach straight up and touch your toes, or you can grab the side of your leg once for support and then touch the toes. Do 14 on each leg. One leg straight in the air and reach up and touch it. 11) Mason Twist: Sit up straight with the knees slightly bent. Bring your feet off the floor. Clutch your hands together in a fist. 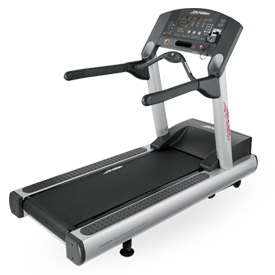 Then quickly touch each side of your body at a relatively fast pace. 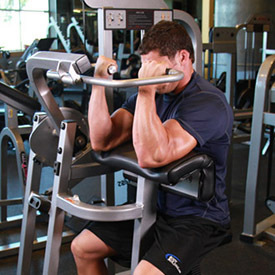 Touching both sides once counts as one rep. Do as many as you can.